Real Escapes Properties is proud to offer this exceptional vacation townhome located minutes from sparkling beaches, enticing village restaurants and sunsets on the pier. Come stay at Butterfly Villa! 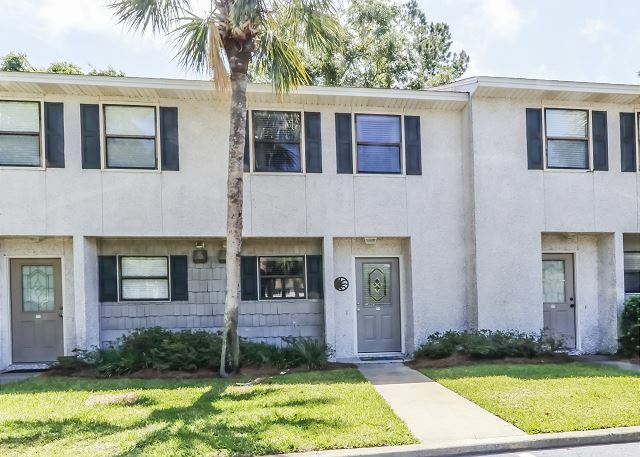 The attractive, completely updated 2 bdrm 1.5 bath townhome located near beach, village and pier. 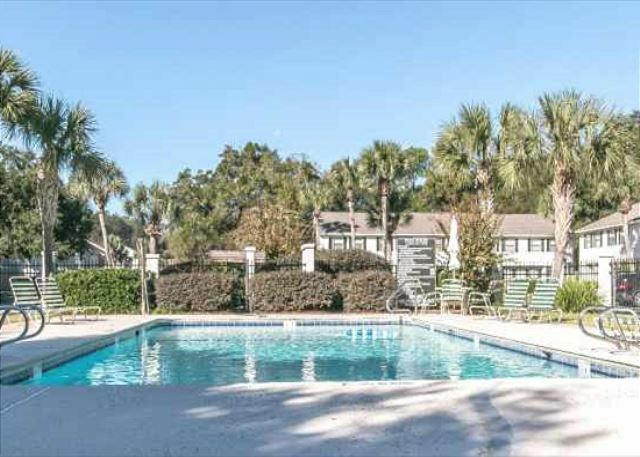 Close to a great public park with tennis, basketball, and shuffleboard courts, baseball fields and a children's playground. Downstairs is a half bath off of the foyer and a bright fully equipped, modern kitchen with a counter looking into the dining and living room. Living room has a queen size sofa bed, flat screen TV and a back door to a private patio. Upstairs, the master bedroom has a queen bed and television. The 2nd bedroom has 2 twin beds. A full modernized bathroom serves both bedrooms. Washer/dryer,internet access, charcoal grill. Large community pool. Occupancy six (6) Small pets may be allowed if approved. Great! Loved the rental property! This property is in a convenient location, close to everything. The condo was updated and very clean. It has plenty of linens and the kitchen is well supplied. Mary Liptak of Real Escapes answered all of our questions and was responsive to all our needs. Short walk to the beach. Had a memorable time! Condo and rental experience was great, would stay here again. Condo was better than expected, nicely furnished and plenty of towels. Very convenient to everything! I liked having the pool right out the front door, too. The condo was perfect size for the 3 of us. I wish checkout was 11 instead of 10. The property was very clean and well maintained. It would have been nice to have a broom available. My family are not smokers and when you walk in every time, you can smell stale smoke even though the unit is smoke free. Also, if the temperature didn’t stay at 71/72 degrees the condo had a lot of moisture (the carpet and floors felt wet). Overall, I would recommend the condo. Super nice! All the comforts of home. Close to the beach and the village. The pool was nice and never too crowded. We were very happy and would stay here again. No problems at all. We were able to check in easily, staff at the office was very helpful, the condo was very nice and updated, the pruce was fantastic, the owner was extremely nice and very cooperative. Condo was steps from the pool, quiet area, absolutely will return! !